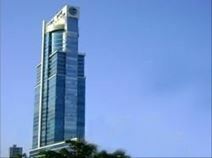 Situated on the 35th floor of a dramatic black aluminium and glass-fronted landmark office building, this business center provides beautiful and desirable panoramic views of the city below and provides a prominent corner location in the heart of the thriving financial hub and banking district of the idyllic and highly sought-after Panama City location. Local transport links are excellent and make the center easily accessible from anywhere in the region. Conveniently situated in the heart of the business district, and close to banks, hotels and other major corporations, this superb serviced office centre provides a range of solutions including virtual offices and meeting rooms. The regional transportation infrastructure is of an excellent standard and provides all prospective tenants with a vast array of convenient and frequent travel options throughout the area. Situated in the banking centre of the city, close to hotels, restaurants and easily accessible by bus and metro, this centre offers individual offices fully fitted and ready for your business. Parking is available, as are reception services and more. 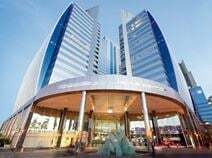 The prestigious area of Costa del Este is home to this prominent flagship building just 10 minutes from the area's major international airport and some of the most frequent and convenient transport links around, making this center easily accessible. With beautiful ocean views from the 34th and 35th floors the professional business centre offers fully furnished private and shared office space, co-working areas and virtual office options. Experience the buzzing vibe of Panama City in this flexible designer workspace that encourages inspiration, creativity and entrepreneurial spirit. Connecting you and your business with like-minded professionals, you have the opportunity to select a space you want to work in whether it's a private office, flexible business club or designer meeting room. A coastal city filled with exciting things to see and do from historic sites to cultural museums and incredible nightlife, this space has the access to all you need to keep you working life balanced. This business center is recognized as the leader in its field, with stylish fittings and a friendly professional staff on hand to ensure that your business projects the right image. Close to a great range of local amenities, and easily accessible. The locality's transport links are also excellent and provide all tenants with a range of frequent and convenient services in operation throughout the wider area. 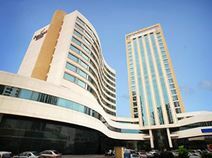 This brand new building consists of first-class offices of various sizes, elegantly furnished and equipped with the latest technology, telephone systems and high speed internet connection. The building is provided with 24-hour access, security system and private parking facilities. Centrally located in Panama City; this building is surrounded by banks, shopping centres, restaurants and is easily accessible. 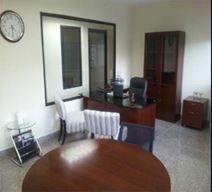 Offices to let in a strategically located centre in downtown Panama City. This centre has the additional features of a cybercafé and a vending machine. 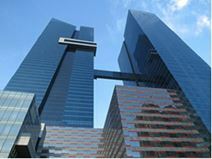 It is located within the banking and financial sector of the city. In the area are all manner of entertainment facilities and other amenities, including cinemas and theatres, gold courses, hotels, nightlife, restaurants and banks. Close to a both a large number of embassies and international company headquarters for the numerous corporate residents with office locations throughout the local area, in the heart of the financial district this exquisite business centre has a wide range of flexible and fully functional workspace options on the 43rd floor of this stunning landmark business installation and offers stunning views over the ocean. A superbly located Panama City business centre, featuring a business lounge, meeting facilities and parking spaces. The centre is walking distance from the upscale Multiplaza Mall, which offers a range of dining, shopping and entertainment options. Also in the vicinity are the Marriot hotel and upscale residential areas. This serviced office center is based on the 15th floor of a prominent and eye-catching new development. A comfortable and elegant business environment, augmented by high-quality décor and superb views across the city. This is a popular business district, home to the biggest shopping mall in the country.